Let’s Celebrate Productive Muslim’s 10th Anniversary! Salam Productive Muslims and Muslimahs, and Academy Members! What attracted you to Productive Muslim? What’s your favorite article, lesson or doodle? How has Productive Muslim impacted your life? 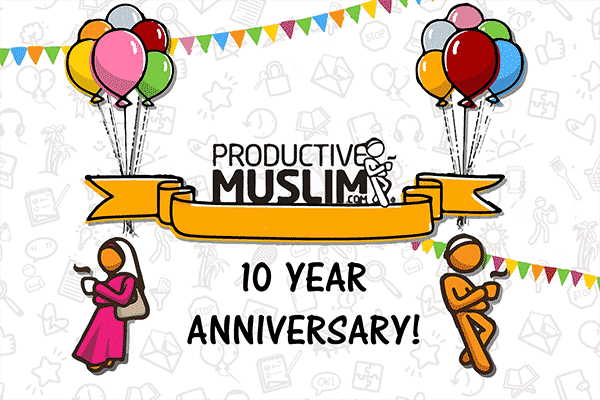 And don’t forget to hashtag #ProductiveMuslim10thAnniversary to get a chance to be featured in our video collection.